This 2400 CFM 3-speed air mover, manufactured by Trusted Clean, should be used during, and especially after, all carpet cleaning jobs. Our air moving carpet dryers provide proper ventilation for quicker drying times. Carpets should never be wet for longer than a 24 hour period. When this 3-speed air mover is used directly after cleaning your carpets, it helps to increase the airflow above the carpet, allowing drier air from the environment to circulate around the carpet, creating a greater evaporation rate. This helps to expedite the drying process, eliminating the chance of re-soiling, which leaves your carpets looking like new! 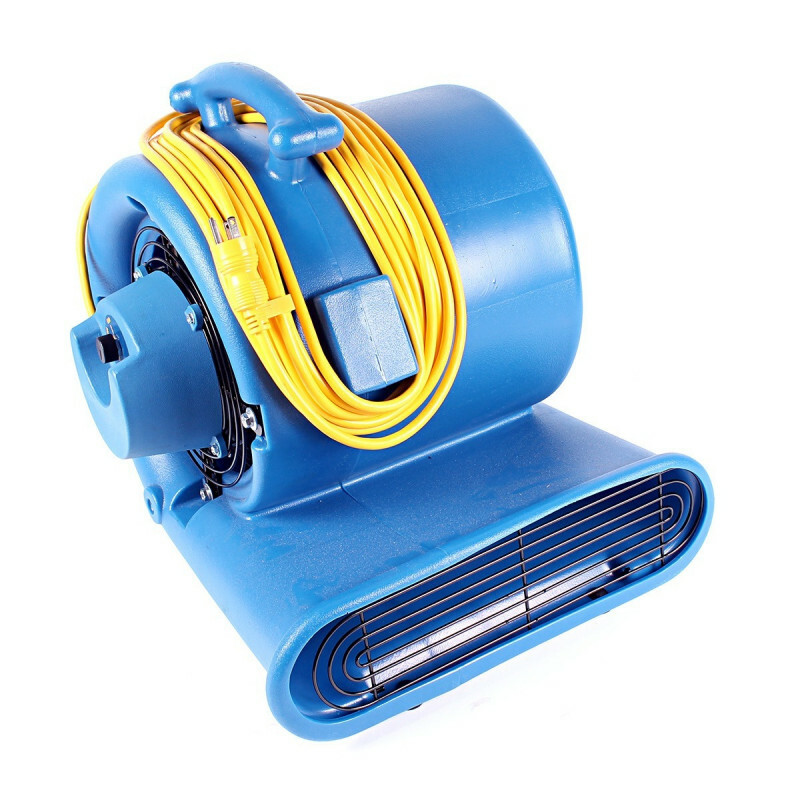 Other uses for this fan include drying wet entrance ways during winter months, flood restoration, general air circulation, ventilation and cooling. Quiet 3-speed design, from 1300 CFM to 2400 CFM. 30 pound rotationally molded body ensures durability and longevity. Molded handle is offset for ease of transportation. Polyethylene mold allows multiple models to be stacked on top of each other. Steel cage protects motor and metal fan wheel from debris. Open flow intake screens allow for maximum air output. 25 foot power cord allows for drying in large areas. 4 height adjustments, with 3 operating angles. I use this fan to dry carpets, drapes and furniture. It has a very powerful motor to get the job done fast. The faster the job the soon we can move onto the next job. That's an A+ in my opinion. 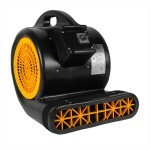 This is a review for the Trusted Clean 2400 CFM 3-Speed Air Mover.